What do you get when you mix honey, spices and spirits in a family recipe descended from 16th-century Europe? Krupnik is the answer, and JVR Spirits is the craft maker bringing this golden liqueur to the table in the 21st century. When we heard the tale of this family recipe from founder Vince Radostitz, a longtime Daylight friend, we had to help bring his story to the web. 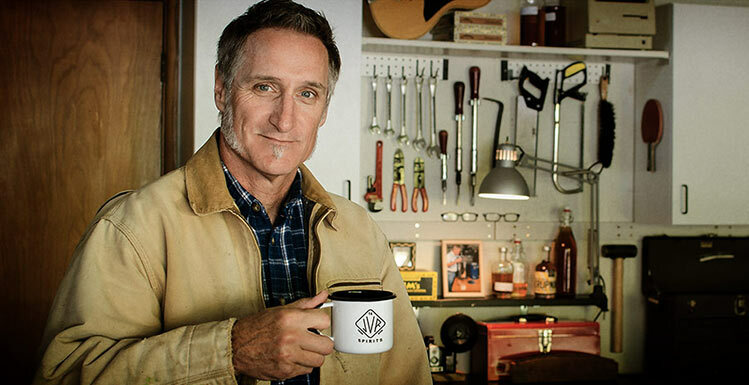 As a startup, JVR Spirits had a small team, but they brought creative vision, photographic talent and a craftsman's penchant for detail and process. 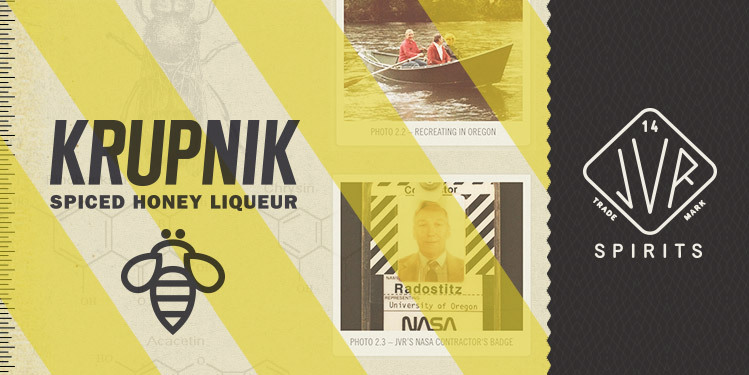 Working with them, we learned about the science of distilling, the bees making the honey, and the significance of the family generations that make JVR Spirits Krupnik so unique. We used it all to guide the design elements we would eventually build into the site. 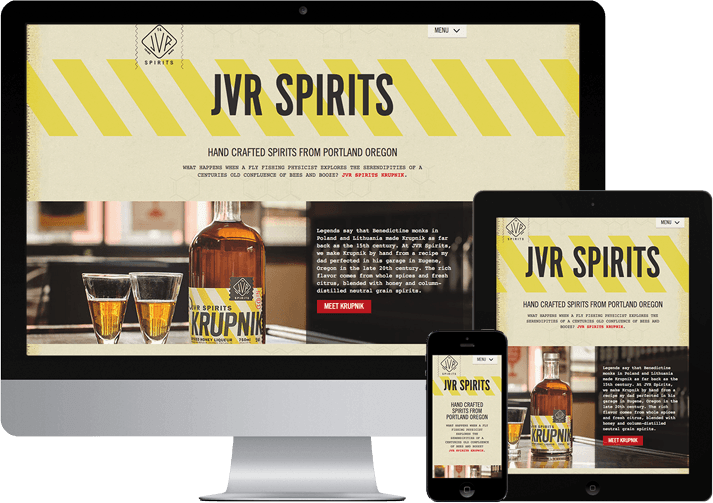 Day to day, the JVR brand needed a site that would let consumers, restaurants and bar owners find and learn about Krupnik. The site had to showcase nearby tasting events, offer cocktail recipes for inspiration, and share company updates and visuals. The experience had to be useful on mobile for people at events or in stores, while being richly immersive for desktop and tablet viewers. The JVR team brought the vision and the core message of the story, with much of the original content for the site. And they had big plans for more in the form of stories, recipes, and travel notes. So from the beginning, we focused on giving the client a true publishing platform that would serve the brand strategy. While Daylight team penciled out wireframes, we teamed up with the client to round out concepts, draft new sections, and edit the remaining content. Then we loaded the text into the FUEL content management system to let the JVR team create new content down the road by themselves. The JVR brand creative director brought us strong visuals from the label design to guide the tone for the site design. We took these cues to create classic analog elements that evoke an older time, like Polaroid photo treatments, parchment paper textures, and wooden rulers. The result is a digital site that almost feels handmade. For the best mobile experience, we created special navigation bars and mobile versions of images that would load quickly and look brilliant. 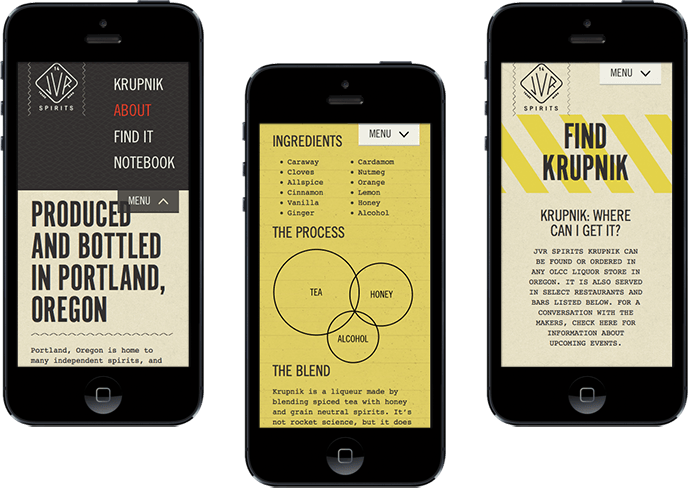 We knew the mobile user might be at a tasting event and want to find product ingredients or where to buy Krupnik later. With this mobile-first approach, we treated the images to look especially brilliant on small screens, and carefully scaled fonts and graphics to look fantastic on older smartphones as well as the latest Retina-display high-resolution tablets. 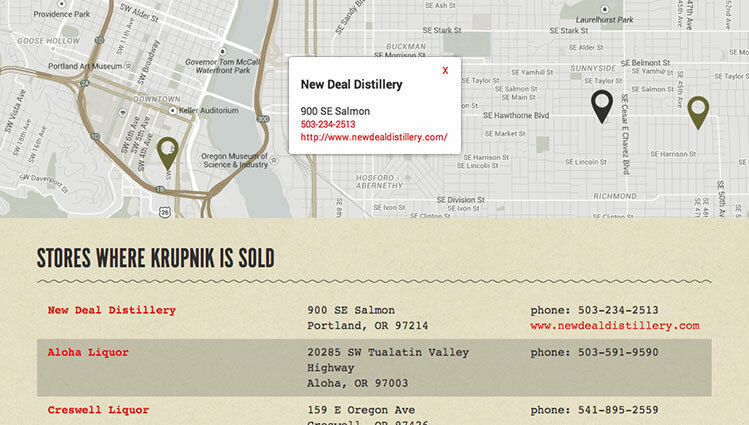 One of the coolest and most useful pages on the site is Find Krupnik, helping people know where to get the tasty stuff. 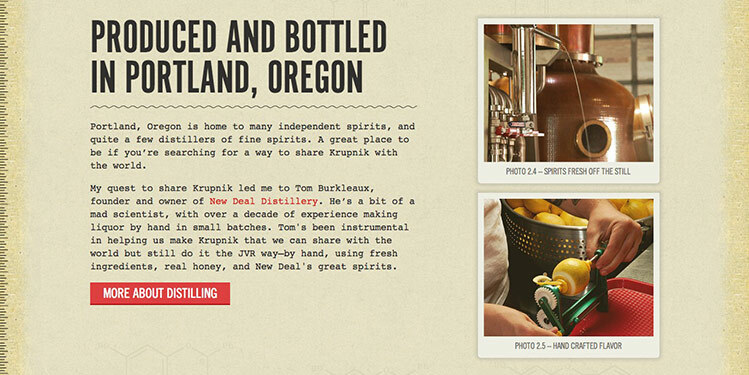 We built expandable sections to see the upcoming events, liquor stores, or bars serving Krupnik. The client can manage all of this information easily in the CMS, while a custom-styled Google Map automatically shows the current locations. And of course, this works just as well on mobile. Interested in seeing more of our Wine & Spirit services?